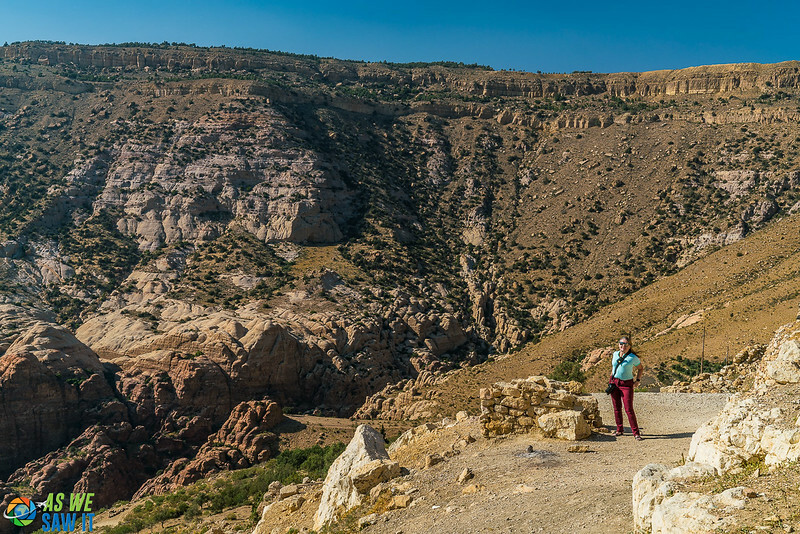 Of all the places we went during our 17-day Jordan road trip, Dana Biosphere Reserve was one of our top, favorite places. 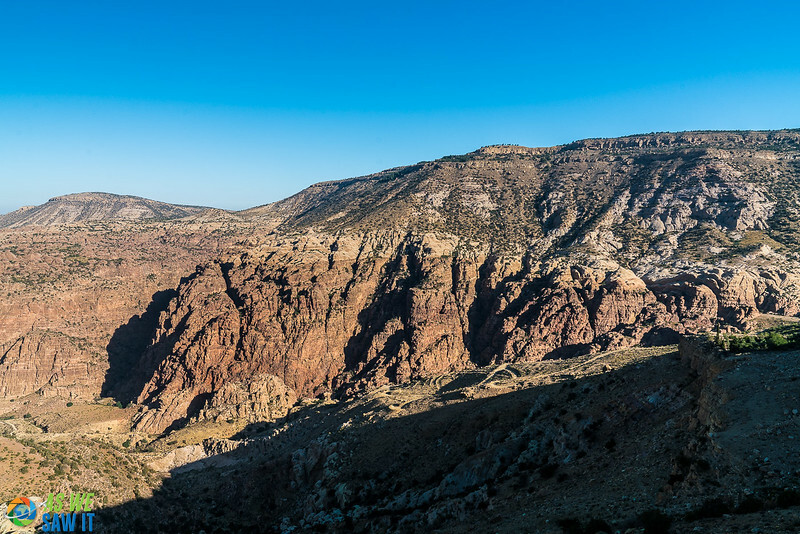 Dana Biosphere is a wild, rugged and picturesque location that most people completely miss while visiting Jordan. We think this is a shame, as there are so many trekking, nature-watching and photographic opportunities jam-packed into one location. We needed to spend a night there, just to take it all in! >>> Read more: Things You Need to Know Before Visiting Jordan. 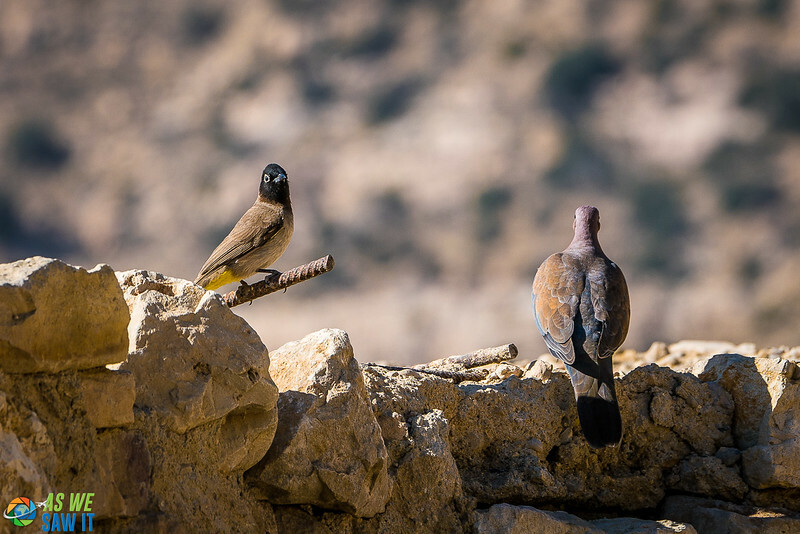 Located halfway between Amman and Aqaba, Dana Biosphere Reserve is part of the Great Rift Valley. Its eastern plateau begins at about 4,000 feet, the land then descends through canyons and gorges down to the low-lying desert of Wadi Araba. 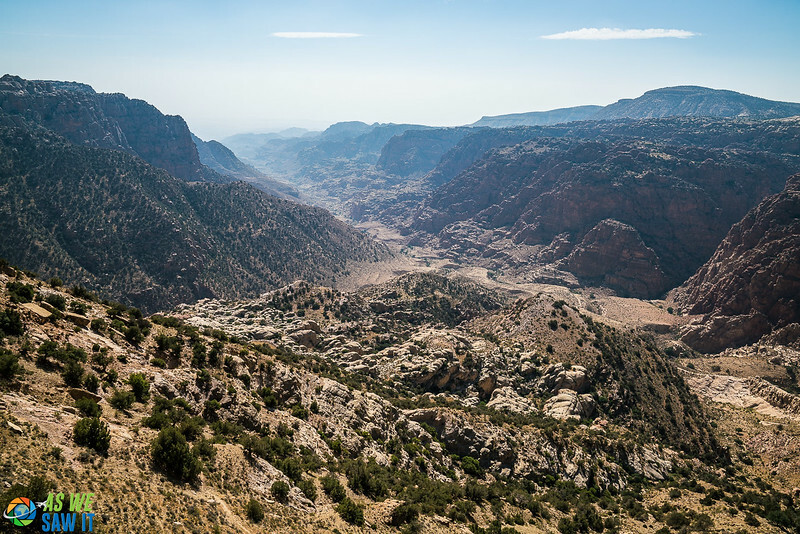 Such a variety of altitude means you will find all four of Jordan's four geographical zones in this one spot. is arguably the most biologically and historically rich area in the country. Rare plants and animals, many of which are known to be endangered, exist here in a protected environment. Dana Nature Reserve or Wadi Rum? 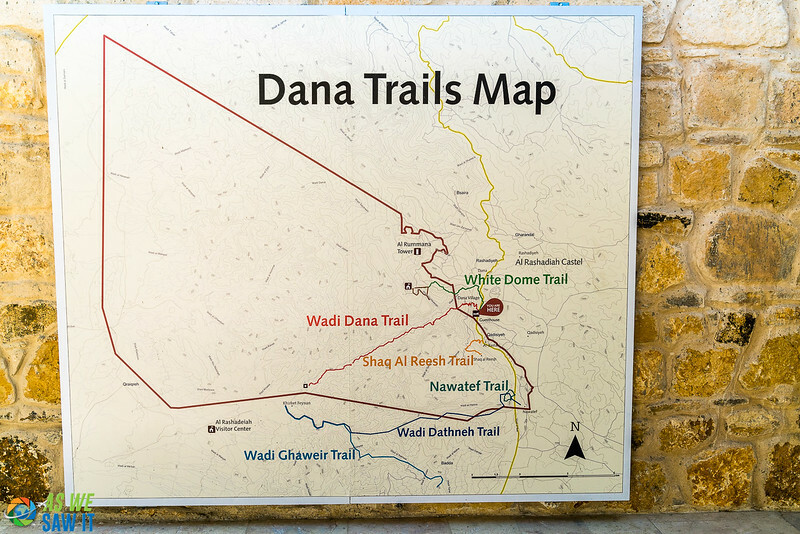 In our opinion, Dana Reserve beats Wadi Rum – at least if hiking in the Dana wild nature is your thing. The system of mountains and wadis (the Arabic term for a valley) make this a mesmerizing world, so be sure to carry your camera. You’re definitely going to want to capture it all. 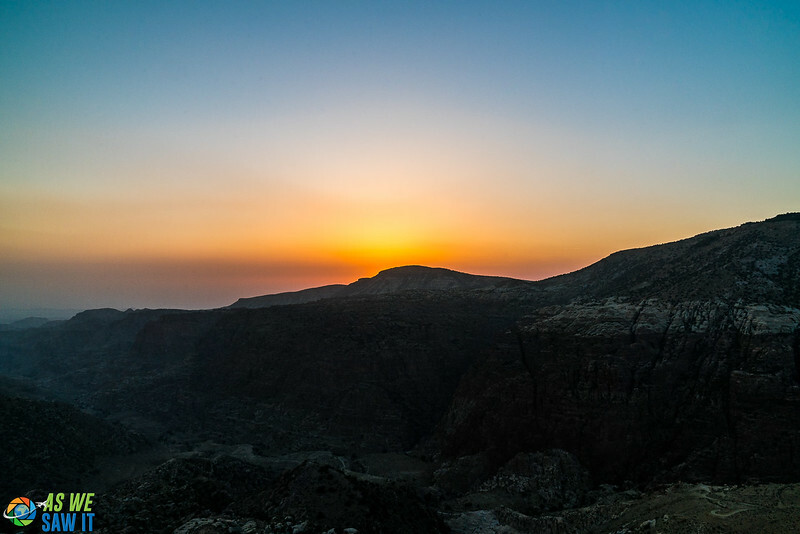 Tip: If you have limited time, you can take a full-day panoramic tour of Wadi Al Mujib and the Dead Sea from Aqaba. Click here for details. ‎The timeless tranquility of the town of Dana (pronounced dah-nah) is sure to take your thoughts back to a less complicated life. 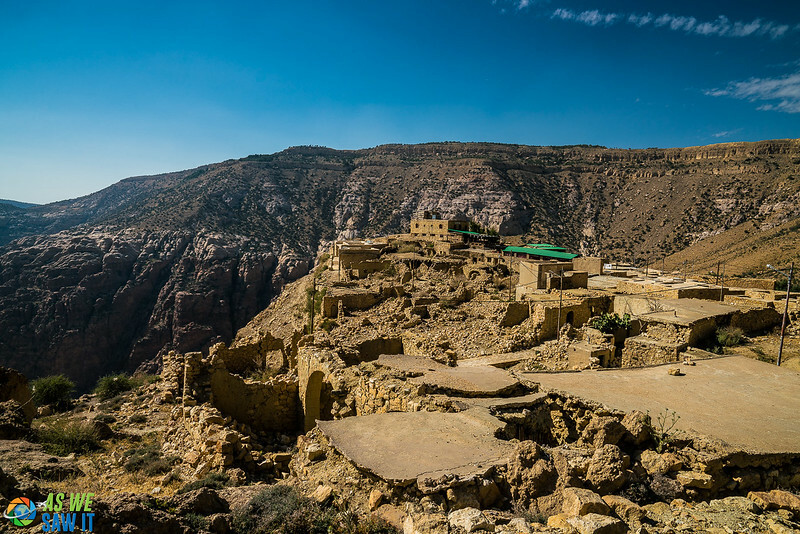 The grandeur of the red and white sandstone cliffs of Wadi Dana enhances the creamy white stones in this beautiful village. Its precarious perch atop a cliff's edge just adds to the drama. 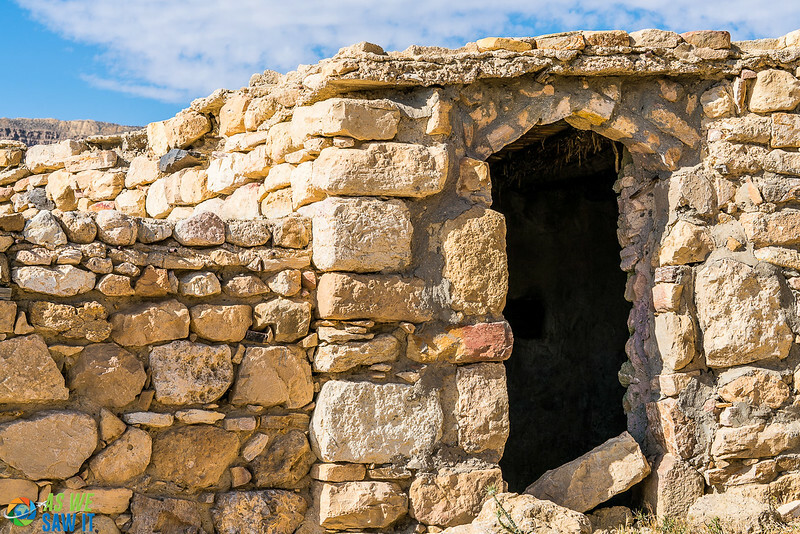 Dana Village is about 500 years old, and in many ways is representative of Jordanian life from the 19th century. 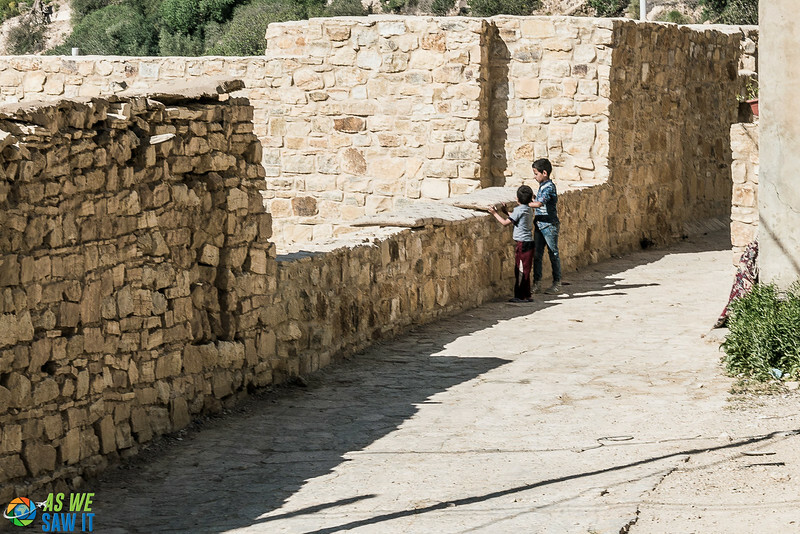 Preserving many aspects of Jordanian villages in the 19th century, a walk through town opens your eyes to the not-too-distant past. Because its sun-weathered stone buildings are so close to the edge of the cliff, there's little room for expansion – let alone maintenance! Walking around the beautiful town gave Dana village Jordan a chance to reveal all its charm and character. And oh, did it do just that! The townspeople have kept the exterior of their homes historically intact, though we suspect that the insides have been refurbished with all the modern amenities. The quaint restaurants bring about a local atmosphere inside their courtyards, adding to the ambiance for dinners. To be quite honest, there aren't a lot of lodging options at Dana Biosphere Reserve, but one thing you do have is a variety of styles to choose from. You can find everything from rustic campsites to ecolodges to guesthouses. Here are three to consider, though we only have experience with the last one. This Dana Reserve Jordan campsite consists of 20 tents which are equipped with mattresses, blankets and pillows provided to guests. As well as bathrooms, and barbecue grills for visitor use during their stay. Traditional Arabic meals are also provided upon request. Open from March 15 to October 31. This 26-bedroom, environmentally-friendly lodge is completely off-the-grid! It is powered by solar energy and is lit only by candles and stars at night. Escape everything and retreat to this amazing Dana Jordan haven. We chose the guest house largely for the view. 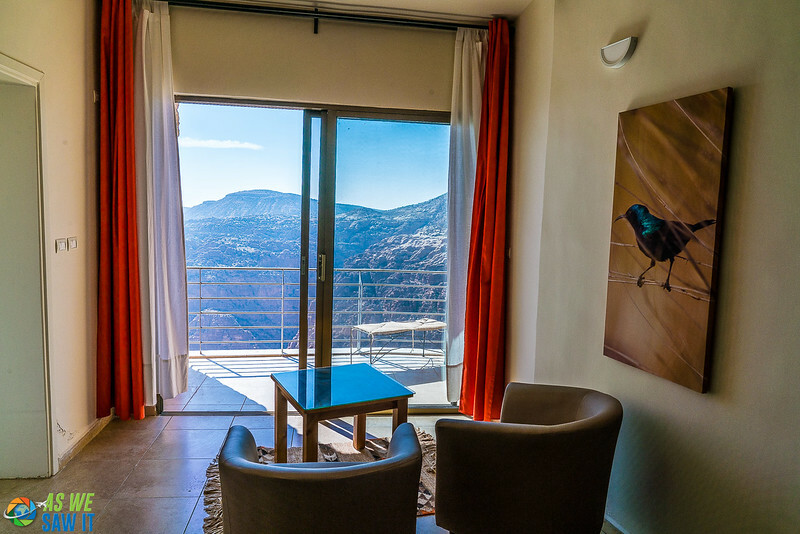 Every room at Dana Guest House has a balcony with jaw-dropping views of the Wadi Dana. The view extends down through the reserve's main canyon, and to the town of Dana. Read reviews here. Okay, so another reason we wanted to stay here is that we wanted to support the work of RSCN, and they run this eco-lodge (keep reading to find out more about them). 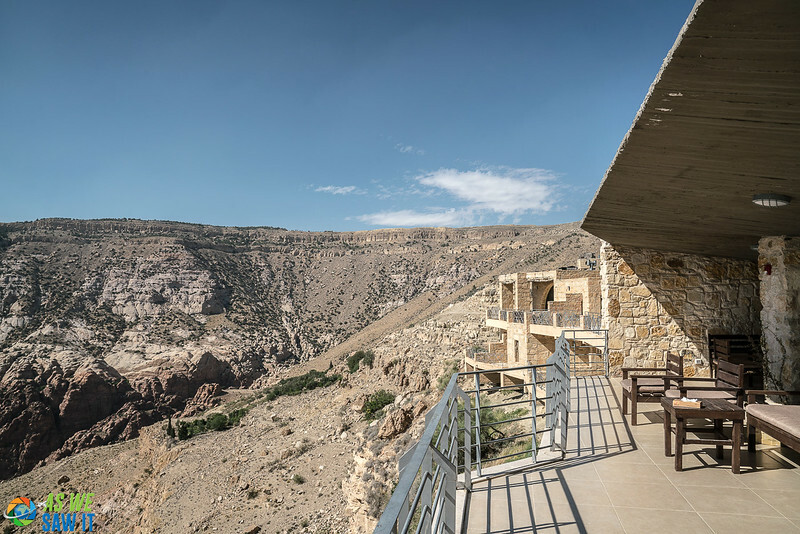 This independent national organization is devoted to the conservation of Jordan's natural resources, and Dana Guesthouse actually began as a place to house researchers. As a result of this, there are also several educational facilities onsite. These facilities offer a series of presentations and exhibits on the Dana Biosphere Jordan’s unique habitat. 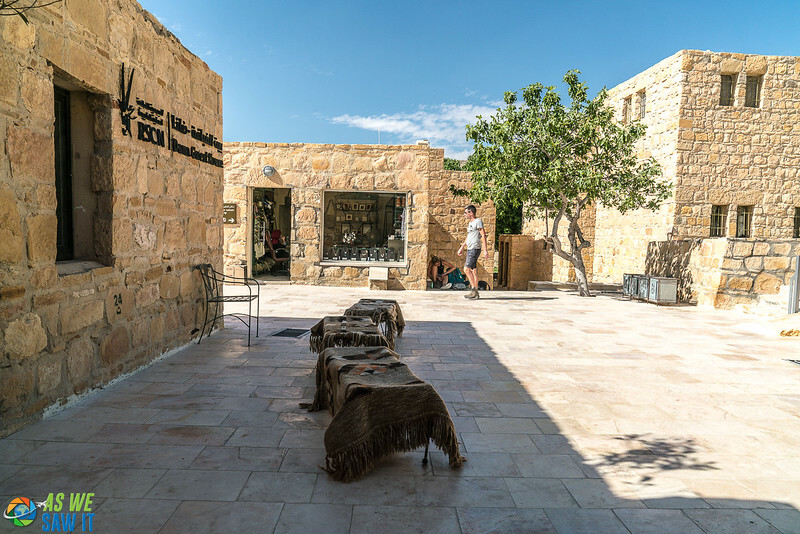 This lodge's location is ideal, as it is only a short and scenic walk into the ancient town of Jordan Dana. We were glad our hotel wasn't in the town itself, once we saw how difficult parking seemed to be on the narrow streets…. We stood on the balcony for ages, only coming back to do it over and over again. Marveling at the changes in the environment with the changing light became a fast-favorite pastime of ours. Our most absorbing experience by far was watching a shepherd and his dog herding goats below the hotel early in the morning. We heard the goats' bells before we saw them. 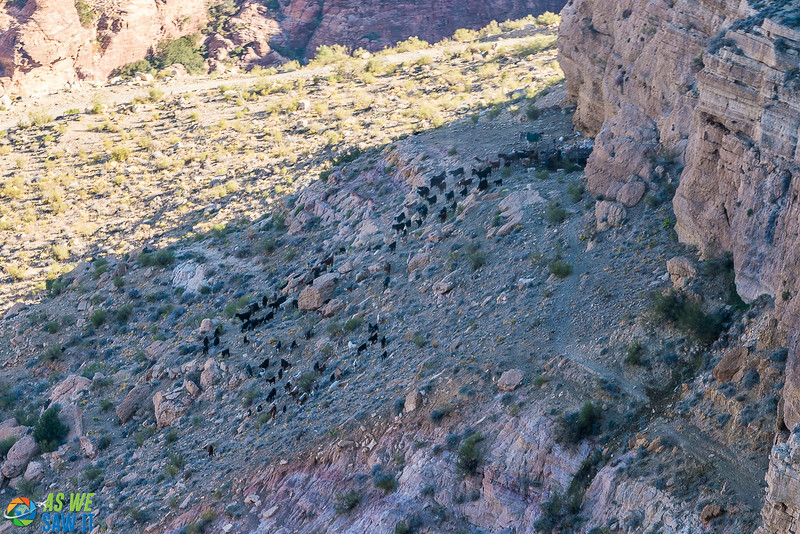 They were led out to graze in the wadi all day, before being escorted home in the evening. Our bird's-eye view from the balcony revealed another attractive feature of the park: we could see several trailheads nearby. Perfect for hiking, canyoning, and mountain biking, right? Unfortunately, thanks to a knee injury, we couldn't descend the bottom of the canyon and experience the nature and wildlife up close. Too bad right? Well, it gets worse… We couldn't visit Wadi Mujib for the same reason! Two huge disappointments. Had my knee cooperated, many of the shorter trails can be explored and hiked unguided. However, the park warns that some of the longer hikes would require an experienced Bedouin guide. Apparently, people have gotten lost in the wilderness. Tip: You can hire experienced Dana Nature Reserve guides through Dana Guest House. 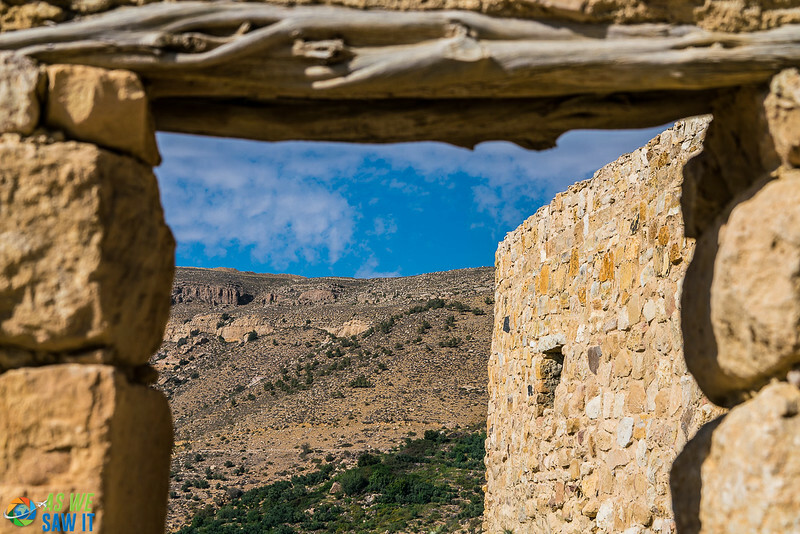 Have you been to at the stunning Dana Biosphere Reserve yet? If so, please share your experiences in the comments below. 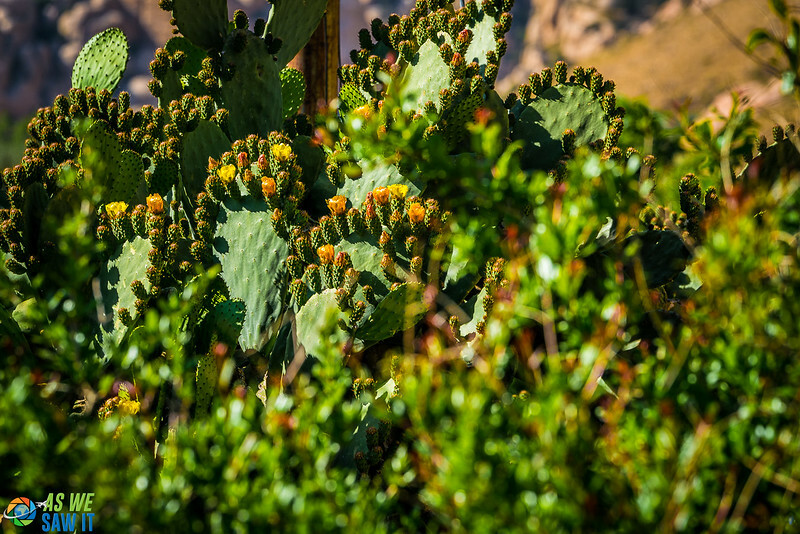 If you have not been to Jordan yet, don’t forget to put Dana Biosphere on your bucket list! Here is some information to help you plan your own trip. Learn more about Dana Biosphere Reserve on the Wild Jordan website. Lodging: For sleeping options, we use and recommend Booking.com. Find all places to stay in Dana Nature Reserve here. We recommend sorting by distance. Transportation: This website shows you how to get anywhere by plane, train, bus, ferry and car. Get Your Guide offers affordable, custom tours around Jordan. Click here to see them all. For more sightseeing, have a look at our photo albums from Jordan. Google Maps offers an aerial view of Jordan. Zoom, scroll around and explore! Thanks for sharing your experiences in Jordan, Dan. My husband and I are seriously considering a visit to Jordan, but we were thinking more about sites like Petra, or Amman. But for your post, I would have never heard about Dana Biosphere Reserve. It looks very wild and barren, but after seeing the delicate and fragile plants that grow there, I realized why this is such an amazing place. Besides, the accommodations in the area look quite spectacular. Well, I’ll bookmark your post hoping that we’ll make it to Jordan sometimes soon. Wish you and Linda a great New Year! Thank you for the kind words. Yes, Dana is a wonderful place with lots to see and even more if you don’t mind some hiking. We didn’t have time to get down the canyon but wished we’d stayed one more day. The hotel and its views were stunning and highly recommend it. As for the rest of Jordan, Petra is, of course, a beautiful destination, but the touts made the place almost unbearable. It is still worth the time but is n where near the top of a “must see” list anymore. I would recommend a luxury camp at Wadi Rum to spend some time. That place was beautiful and no one to try to sell you constantly. I have not visited but it looks like an inspired place. Totally up my alley too. I would see Petra for its special nature but would spend a ton more time in this reserve because I vibe with nature and off the path spots. Checking both marks here, of course. I dig seeing wildlife too; especially in a remote and seemingly rugged, inhospitable area. Fascinates me how animals survive and thrive in such difficult terrain. Thanks for the compliment, Ryan. Dana was so incredible that it was easy to find subject matter. 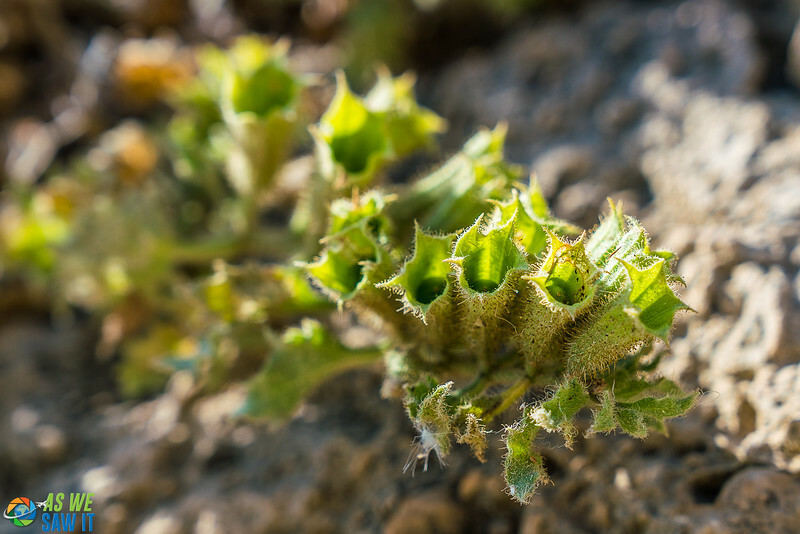 If you are a nature fan (like we are), you really should check out the rest of Jordan too. Its terrain is so different from the U.S. and there are lots of places to hike. We really liked Dana but I preferred Wadi Mujib, which felt even more remote despite the luxury camps sprinkled here and there. Hiking is possible but they advise you to hire a guide because it’s easy to get lost and cell phone signal is spotty.